If you have completed your nursing education, you have experience and want to work abroad to improve your income, a good alternative you have is seeking employment in Dubai. Dubai is a country that is part of the United Arab Emirates and it is characterized by its wealth and modernity. It has hospitals and clinics with the best quality worldwide and is looking for foreign professionals in nursing to achieve cover all work places required, offering in return an excellent remuneration and good working conditions. In this article we will tell you which are the requirements to work in this country, what are the major hospitals and clinics and the average compensation offered. The following are the requirements that are required for those nurses who want to develop in Dubai. All hospitals and clinics in Dubai have the best infrastructure and latest equipment for diagnosis and treatment of various diseases. Additionally, they have on staff, with the best foreign professionals in all specialties. It is noteworthy that within the field of medicine been extensive growth in the field of plastic surgery and physiotherapy. Medical centers that specialize in these fields are the most hiring nurses from abroad. You may have a greater chance of being hired and receive a higher payment if you have take some courses of specialization. Among the specializations the most required are physical rehabilitation, first aid and operating room assistants. The wages that this Arab nation offers to these professionals are among the highest in the world, so a nurse who has at least twelve months of experience can receive a payment of € 25.00 the time in working hours six hours per day, five days a week. 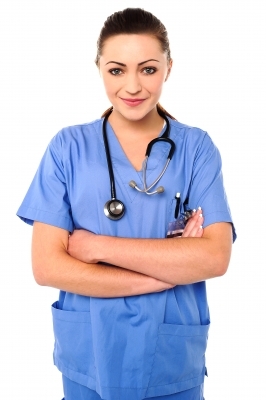 A nurse that has some specialization may receive up to € 30.00 hour. Additionally, all employees receive employee benefits by law so same as a place in which to live while you are working in this nation. As a work visa, the employment contract is one year after which, if they decided to renew the contract can be extended for another year. For various job opportunities this nation offers, visit the following job boards where you can find detailed information on each of the deals.